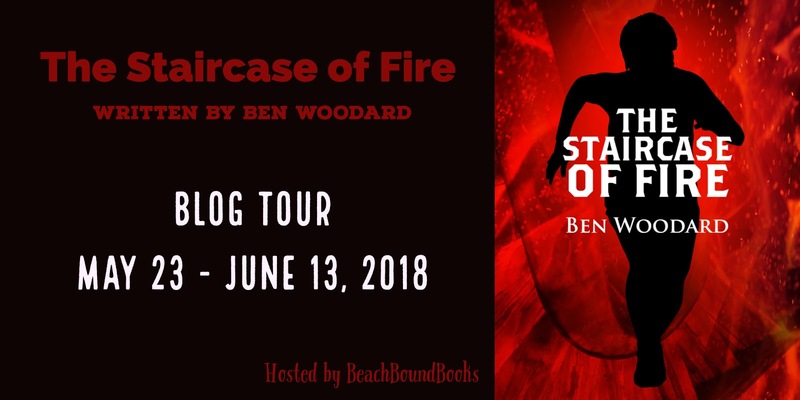 BeachBoundBooks is pleased to be coordinating a Blog Tour for Ben Woodard's newest young adult mystery, The Staircase of Fire. 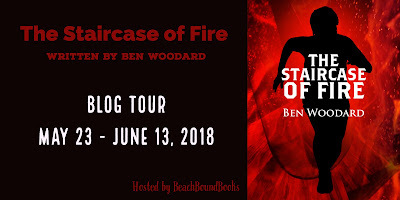 The tour will run May 23 - June 13, 2018. An eyeless body. A menacing stranger. And a tangled mystery. 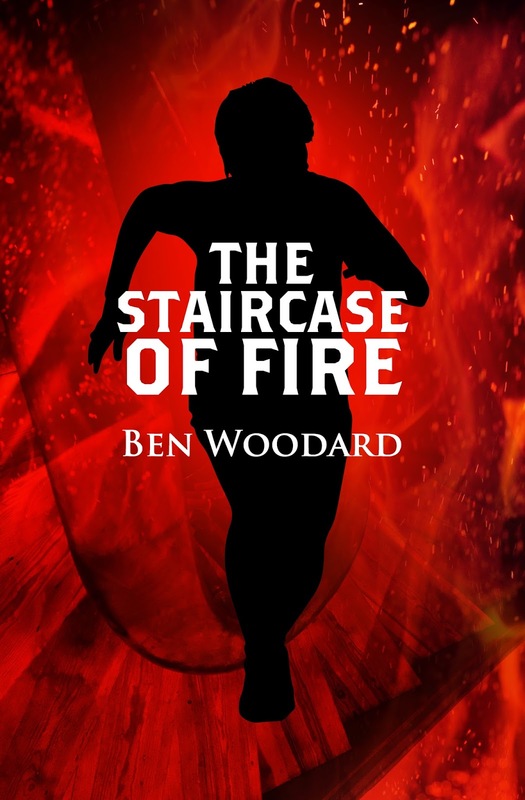 It’s the summer of 1923 and two cousins hunting for hidden gold stumble on an decayed body. Fourteen-year-old Tom Wallace is convinced the death was murder and drags his older cousin into a harrowing struggle against a shadowy group. Not even attempts on their lives can stop the boys from relentlessly pursuing the mystery. But when their curiosity leads them to investigate a derelict barge, what they find is bigger and more dangerous than anything they could have imagined. 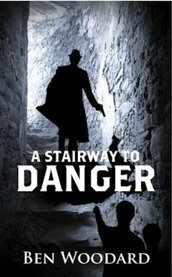 A STAIRWAY TO DANGER is a fun-filled thriller with humor and adventure in a Twain-like setting. 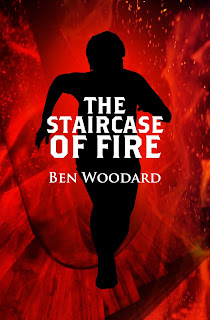 Explosions, sabotage, deadly warnings, and a dangerous red-haired man. Imagine The Hardy Boys meet Tom Sawyer. 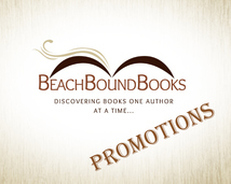 Add a layer of teen angst and excitement plus a mysterious group stirring up racial tensions. 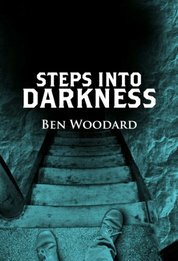 That’s STEPS INTO DARKNESS, the second book in the Shakertown Adventure Series by Ben Woodard. 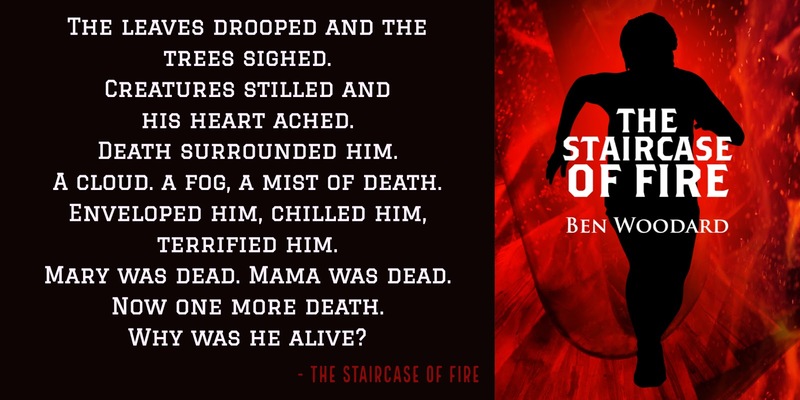 Fourteen-year-old Tom Wallace again makes plans to escape the small town in the 1923 Kentucky countryside—the town that won’t let him forget his past, when a horrific event changes his mind. He teams with his cousin, Will, and young FBI agent Rick Sweeney to solve a perplexing mystery. Attempts on the boys’ lives and a bewildering list of suspects keep them on edge and confused until they discover the real villain—and then wish they hadn’t. 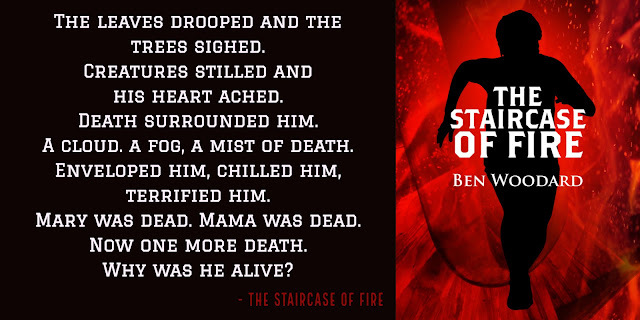 STEPS INTO DARKNESS is a fun, page-turning thriller with a hint of romance that delivers adventure and mystery while exploring the fears of a teen living with a frightful memory. 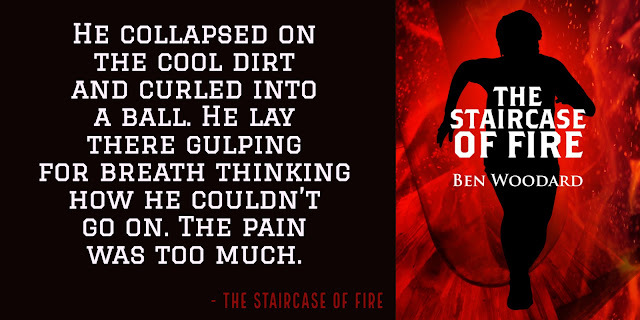 Ben is a (mostly) retired amateur adventurer who has traveled across Tibet, climbed to 18,000 feet on Mt. Everest, and solo backpacked wilderness areas. 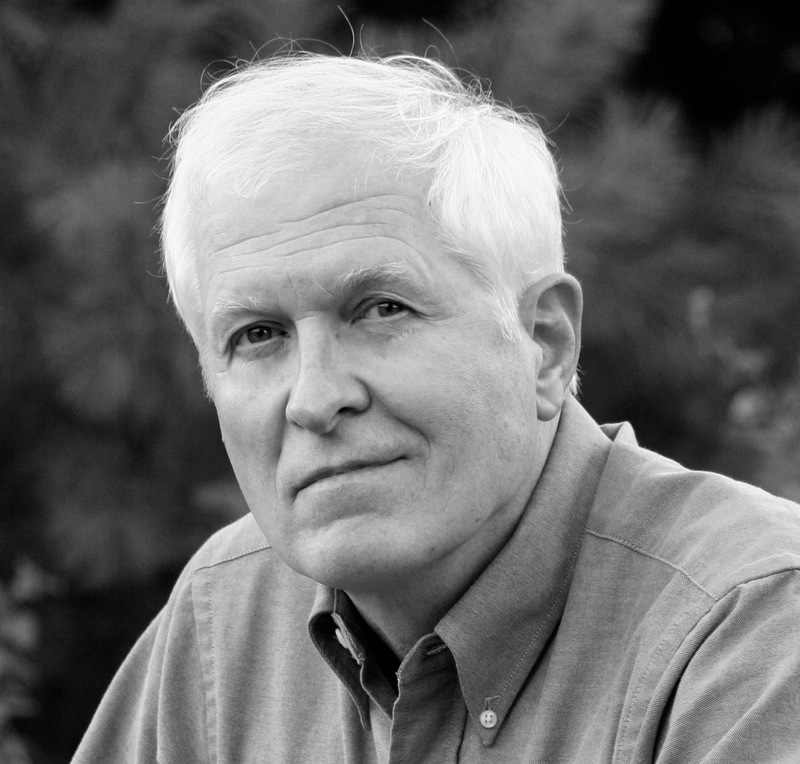 Now his adventures come in the form of imagining stories, writing and telling them to kids and teens. He works with teachers, schools and literacy organizations spreading the word that books are vital—and fun. Thank you for hosting the tour!